This year in March I went to Jog Falls while I was in Shimoga. I had some expectations like the time I was here for the first time. But the moment I reached here my expectations were gone. Jog falls had become another victim of summers and both two out of four waterfalls had dried up and rest two were trying their best to keep the name of the falls that it once used to be. First time I was here was back in 2012, were drove from Bangalore to here covering a few places on route. 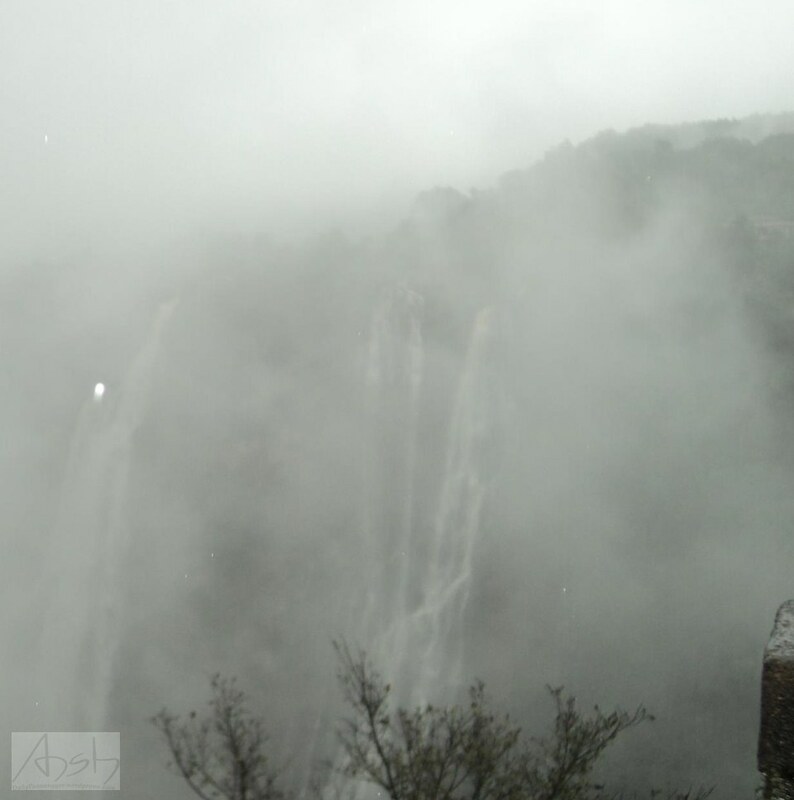 Jog falls is the highest plunge waterfall in India and is almost 3 hour drive from Shimoga. When you come from Bangalore you can avoid Shimoga and save some time. If you are coming to Bangalore by train or bus then you can opt to stay in Saggar. 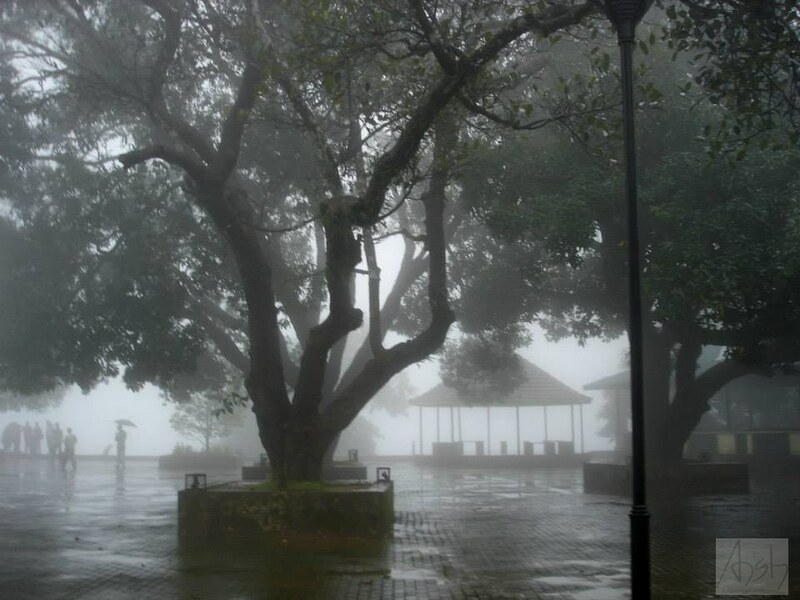 It is a small fog covered town half an hour away from Jog Falls and is an amazing place to stay and spend some time and wander off in nearby forests and villages. Shimoga and Saggar are cold compared to most of the Karnataka (Not counting the Coorg region). It is recommended to visit Jog falls between Aug and Oct this is the time when it rains in this area, you can cover Agumbe and Jog Falls is at its full might. 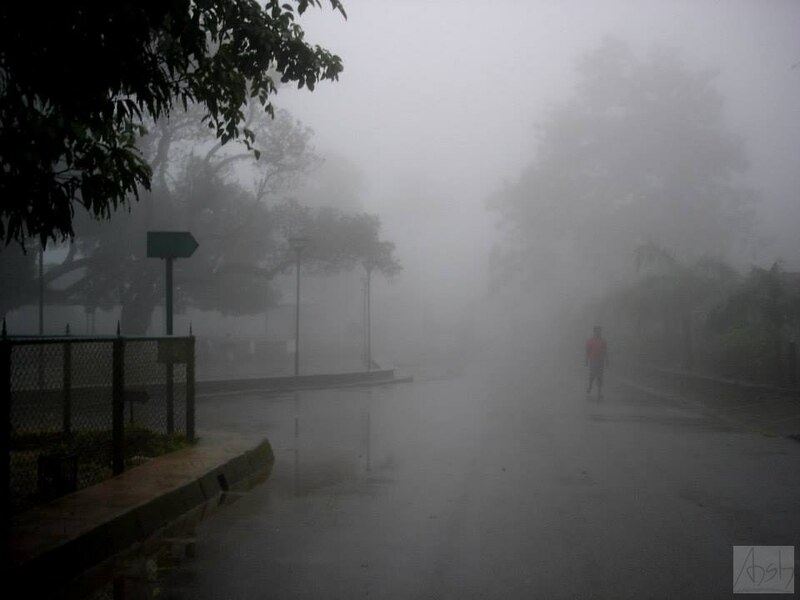 When you enter Jog falls the entire area is covered in such dense fog that at times it is almost impossible to see you own hands. The view point from where you are allowed to see the falls is covered in fog and it is impossible to see anything because of dense fog. All you can hear is the roaring waterfall behind the white curtain of fog. Then slowly the clouds start moving and one by one you see the four of the waterfalls falling in their full might. Jog Falls consists of four waterfalls Raja, Rani, Rocket and Roarer is formed by Sharavati river that falls from the height of 830ft. Raja is the highest of them all followed by Roarer, then Rocket and finally Rani who is the most quiet one. The view is an experience of a lifetime, one can easily sit around mesmerized by the sheer beauty of the nature that happens here. If there is something like magic then it happens here. We sat there for hours while each of the fall kept appearing and then disappearing. It was beautiful, tiny droplets of water kept falling on our face and it slowly rained. The white blanket makes you feel that you are walking on the clouds something that is felt once in a lifetime. 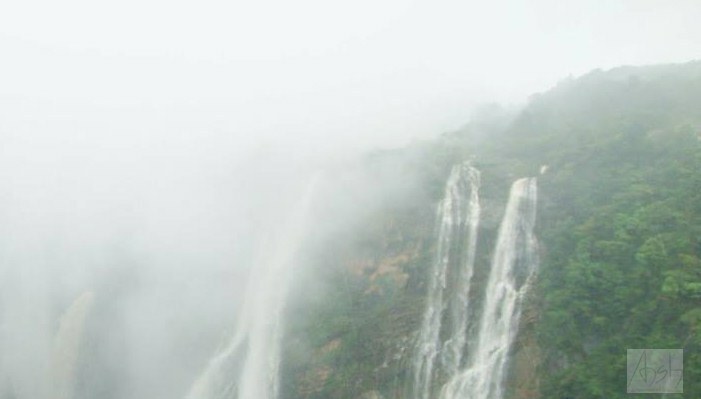 I am longing to see Jog Falls like that once again, I can’t wait to be there again when the time is right and then I’ll be walking on the white blanket of clouds once again.